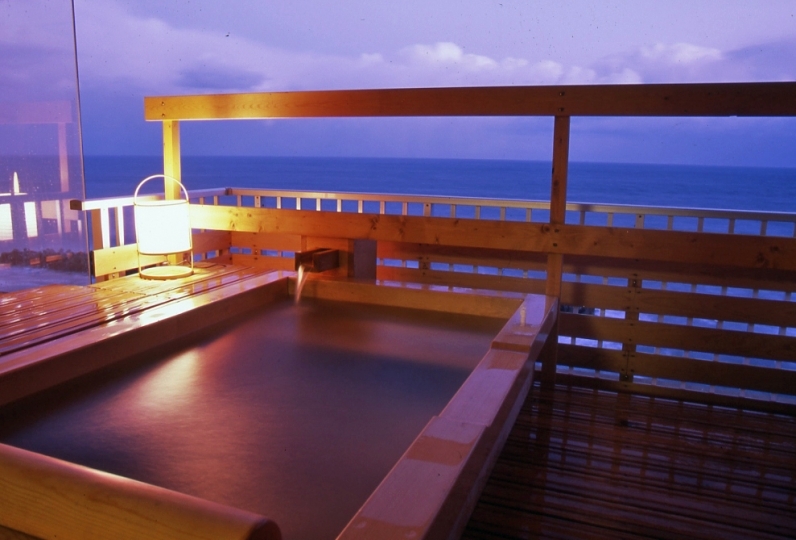 A hot spring of Kaikeonsen with the great view of the Japan Sea. Nearby lies Shogetsu, a small Ryokan with only 19 rooms. Time passes by peacefully here. 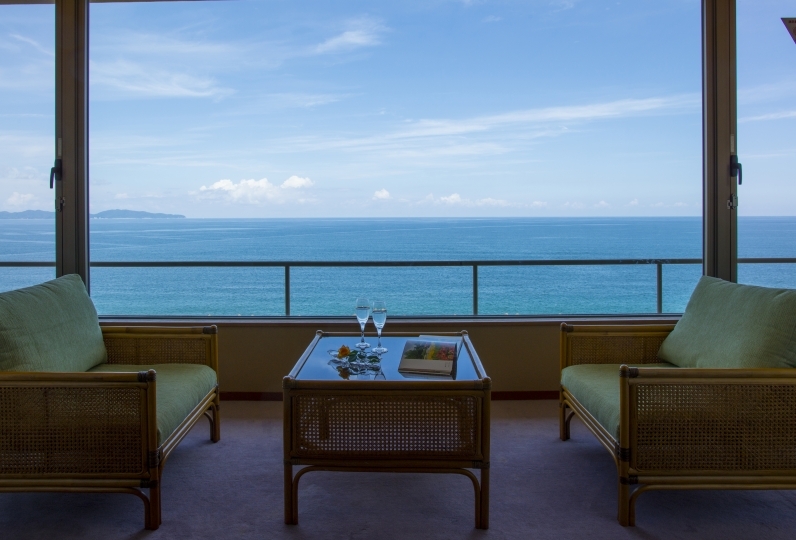 When you see the ocean changing its face every moment, your tiredness will be soothed by the sea breeze. 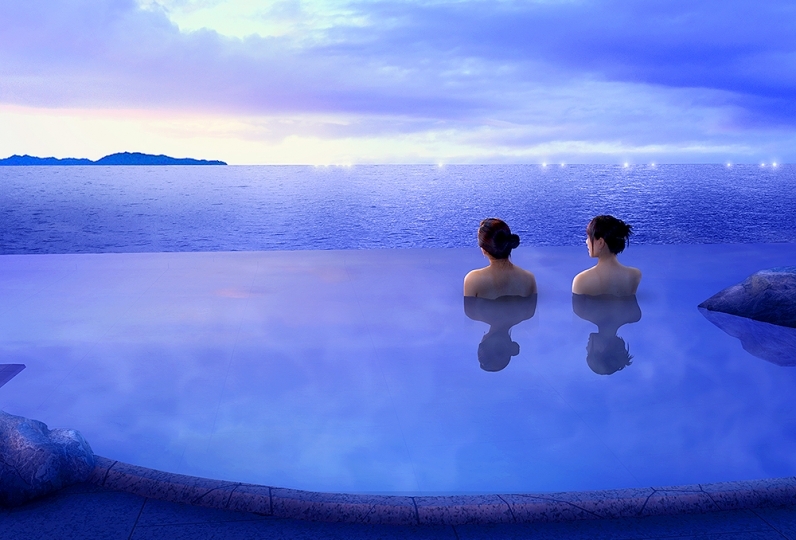 The hot water from Kaiki hot spring is called “Salty hot water” and is beneficial for beauty and health. There are many ways to make sure your stay is comfortable – enjoy the outdoor spa in your room or rent a bigger bath for family and friends. Fresh, creative, seasonal Kaiseki dishes are served from the Sanin area: straight from the oacean and brought back from the nearby mountains. We have no compromises in our ingredients. 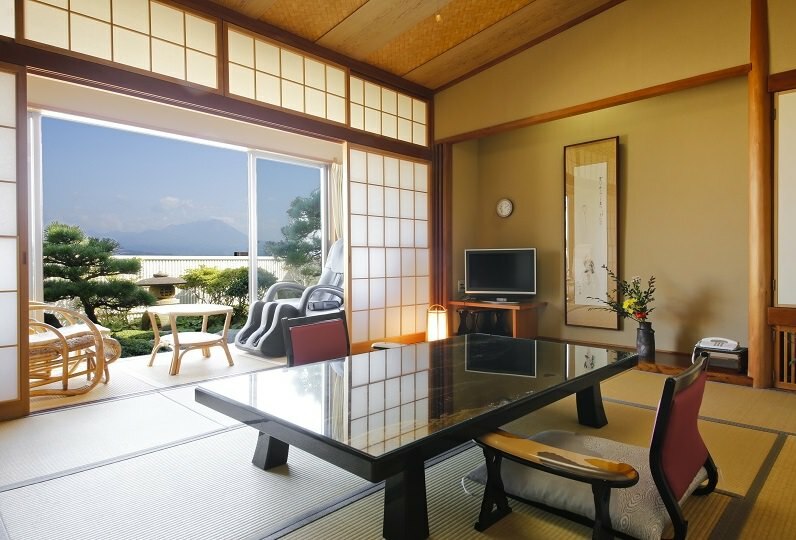 Have a luxurious and relaxing time in this Ryokan on your special journey. We look forward to welcoming you to spend a very special time with us. service was great. the room was spacious with 2 onsens, dinner and breakfast were terrific. a perfect place for vacatio... Read more service was great. the room was spacious with 2 onsens, dinner and breakfast were terrific. a perfect place for vacation! Service was great. the room was spacious with 2 onsens, dinner and breakfast were terrific. a perfect place for vacation! Public bath and outdoor bath are located on the 5th floor. 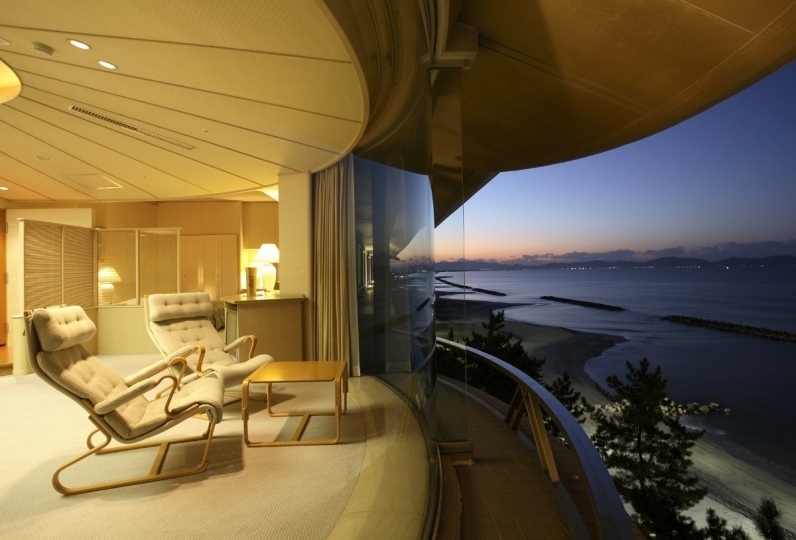 You have a panoramic view of the sea of japan below and the mountain as well. The soft sound of the waves will help you relax at the outdoor bath. The salt water bath is beneficial for beauty and health. Separate from the main building, there are 4 separate private outdoor bath. All baths are natural hot springs. You can enjoy it as a family, group, or even just yourself. Get off at Ochiai JCT and go onto Yonago-Jidosha-do. Get off at Yonago IC and take Route 431 to Shogetsu. Get off at Hokubo JCT and go onto Chugoku-Jidosha-do. Get off at Ochiai JCT and go onto Yonago-Jidosha-do. Get off at Yonago IC and take Route 431 to Shogetsu.